The High Mobility Multipurpose Wheeled Vehicle (HMMWV or Humvee) is essential to troop transportation. While all vehicles are important, the most commonly used vehicles are also typically the least protected by armour, and so they require crews with even greater awareness and discipline to allow them to achieve their objectives. An integral part of Vehicle and Convoy Training, the Humvee Simulator supports marksmanship training, communications, and tactical awareness in a very dynamic environment. 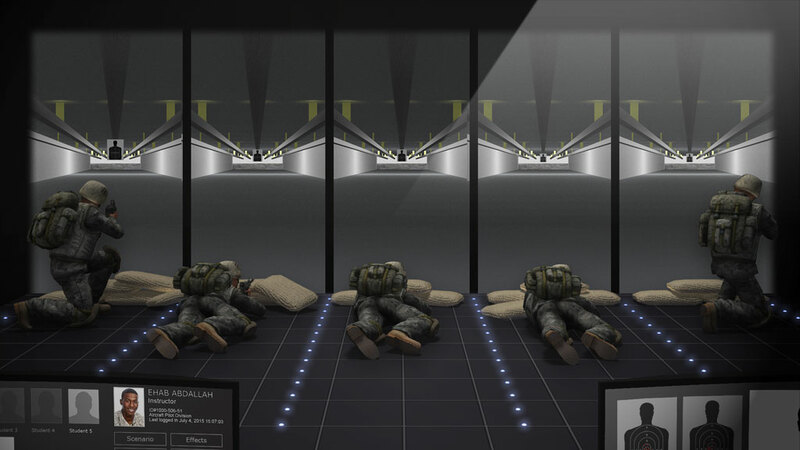 The Humvee Simulator is designed for individual and collective crew training, with the benefit that training is conducted in a safe environment, and without incurring any cost in fuel or ammunition. 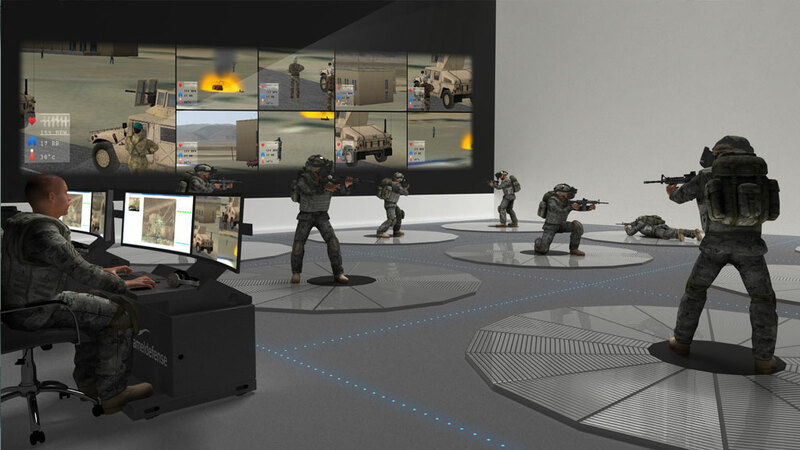 The system can be used to train driving tactics, force protection, and weapons handling, and supports training for a crew of up to 5 marines simultaneously. 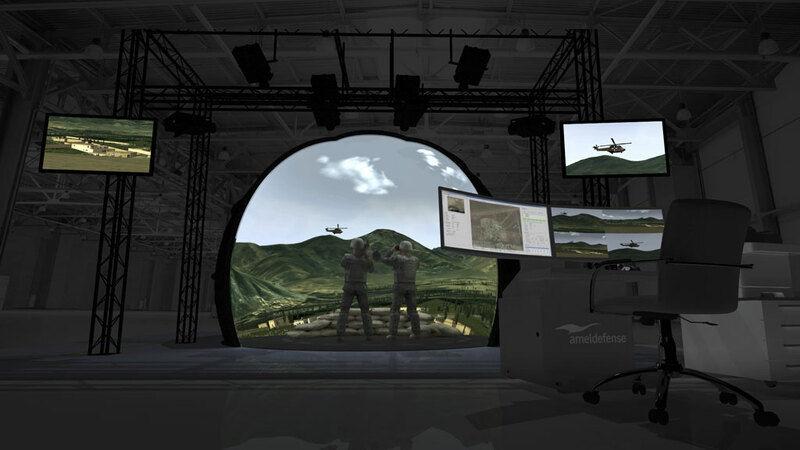 The simulator creates a realistic visual environment with a 240º horizontal and 60º vertical field of view visuals, including a helmet-mounted display for the roof gunner, 3 degrees of freedom (DOF) and complete 360º spherical view of the scenario environment around the vehicle.